In the 7th grade, I won a trivia contest at my school. Actually, for some reason they randomly asked one trivia question over the intercom, and then awarded a prize to the first student who could make it to the library with the answer. I think it must have been some sort of national reading day/week or something. I remember that the question involved Poe's "The Tell-Tale Heart." At any rate, after racing my friend Griff to the library, I was allowed to pick out a prize from a rack of books. (Griff also got one; the librarian decided that it was only fair to call it a tie.) I chose The Monsters of Star Trek. Now, as far as I know, this isn't anything close to a classic of Trek literature. For a while, however, it was my definitive encyclopedia for the creatures of Star Trek (and I do love how the title uses the word "monsters" rather than "aliens"). 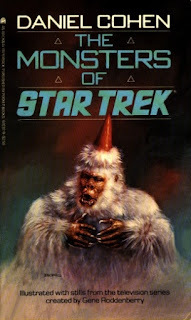 While I think the first version had a Gorn on it, I had the second edition picured above, and that guy on the cover, the Mugato, became the quintessential Trek beast to me. A victim of a Mugato bite must make a successful saving throw vs. poison/Constitution or become poisoned. Until they receive appropriate medical care, they will endure 1D damage per hour that passes after the bite. Here are the Mugato's entries at Memory Alpha and Memory Beta. I had a Mugato action figure from the 90's Playmates Star Trek line. I wasn't a big Trekkie at the time, but I thought it looked cool. I think I still have it. 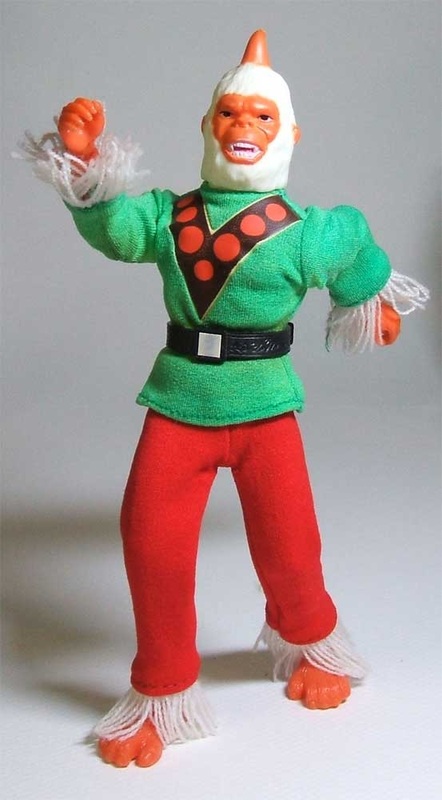 I just searched up a pic of that one...that's a great sculpt (the face especially)!